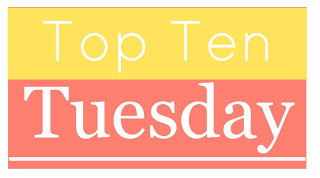 This week’s TTT is Top Ten Books I Wish Could Have Had Sequels (they were complete stories but you just could have read more and more about these characters or set in that world). I will say that this list will contain mostly contemporaries simply because they are more frequently the books that are a quick look into the story of the characters. Rainbow has yet to write a character that I have not loved. Each of these contain a complete story but Rainbow makes me fall in love with her characters so deeply that I want to know how they are doing now. I got teary eyed while reading all of these and any time I shed tears I create a connection with the story. All of these have endings that I never wanted to come. You would think 3 books would be enough for someone. I simply love the characters from Infinityglass (Hourglass). Each book introduces new POVs and I want each book from each POV! Boundless is here because it a great world with great characters. Plus I want to know what a certain character is up to. Requiem left SO many questions! This ending left me a bit confused. Part of it could come from me feeling divided in the end and the other part is just me wanting more from the story. I also really enjoyed the characters and wish I could have gotten a trilogy out of this one! I’m so excited to see FANGIRL on your list. I have an ARC from BEA that I have been looking so forward to reading this summer! Now even more so. Believe it or not, that will be my first Rainbow Rowell read! I’ve only read Eleanor & Park from Rainbow Rowell, but I’m reading Attachments soon. I have a feeling I’m gonna love her characters and want more from her! Great list. Rainbow is the best! So glad we have so many new books to look forward to, even though it would be great to have a sequel too. And I totally miss the Unearthly series- wish that it didn’t have to end. Golden is one of my faves this year. Good stuff! Surprising how many people want more sequels of books that have sequels! Interesting. Here’s my TT post: I Poohpooh Sequels. I love how your standalones are color-coordinated. So funny! Also, I mostly just want Rainbow Rowell to right more in general. I NEED ALL OF HER WORDS. Great list! With the certain character in Boundless, do you mean Christian. If yes, than I totally agree! And I want a sequel or epilogue to Requiem too, I still have so many questions..
Yeah…apparently I really need to read something by Rainbow Rowell…since her books are EVERYWHERE and get such high praise! Great list! Requiem definitely needs a sequel! New follower! Great book list 😀 I didn’t know that Rainbow Rowell had another book (Attachments) I only knew about Fangirl and of course Eleanor & Park, must get to reading those soon as I loved Eleanor & Park. Your the second person I’ve seen put Parallel in their list this week, I can’t wait to read it. I’m currently reading the 2nd book in the Hourglass series, so will be reading Infinityglass soon, hope that it’s as good as I’ve heard it is. I need to read the Rainbow Rowell books. AND YES TO GOLDEN. I need more. I wouldn’t mind another Delirium book. Requiem was way to open ended. And I’d love another book in the Unearthly verse if it was about Clara’s brother. I think that would be fun. I most especially agree about Attachments. I just want to know more about Lincoln and Beth. More and more and more. I really loved those two. Jeez, if this week has taught me anything, it’s that I need to read Rainbow’s books ASAP!